Create a beautiful event website, collect event registrations, and promote your event online. Trusted by 10,000+ of the world's top event planners. Instant setup. No coding required. 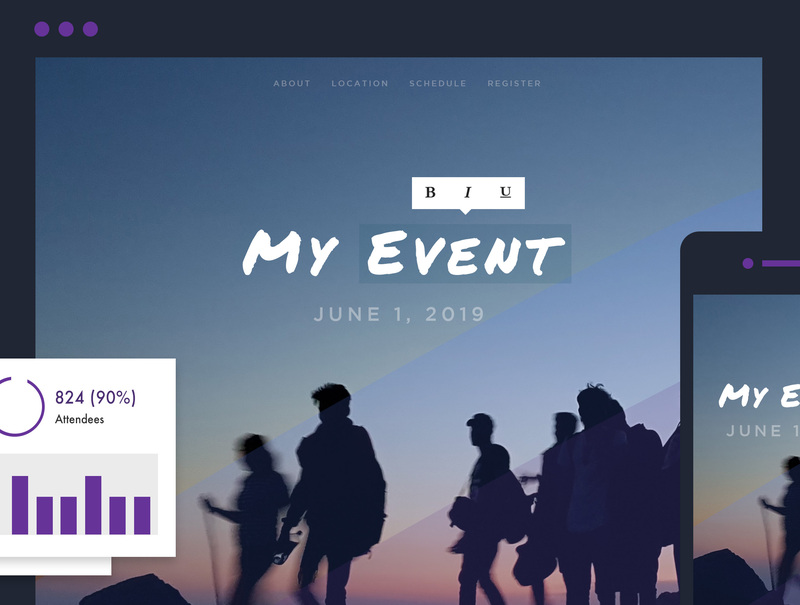 EventCreate makes it easy to a beautiful, professional-looking event website in minutes using EventCreate’s easy-to-use website builder. Get started by choosing one of EventCreate's event website themes, each handcrafted by our award winning design team. From there, you can quickly add content, import images or videos, customize your fonts, and modify the design to make the website your own. And don't worry. No coding skills are required and no server setup is needed. It's that easy. All the tools you need, built-in. Whether your event is a conference with thousands of attendees or a small party with friends, EventCreate gives you the power to fully-customize your event registration process. Sell tickets, accept credit cards, and quickly tweak your registration form by adding unlimited custom questions (like “Are you bringing a guest?”). EventCreate's powerful analytics allow you to easily track and manage your attendees in one place. We take analytics seriously, giving you unprecendented power to understand your event performance. EventCreate also helps you identify VIPs, influencers and learn more about who is attending your events. Invites, sharing, promotion and more. Your event website is ready; now, it's time to build your guestlist. Invite attendees to your event with beautifully-simple and fully customizable email invitations. 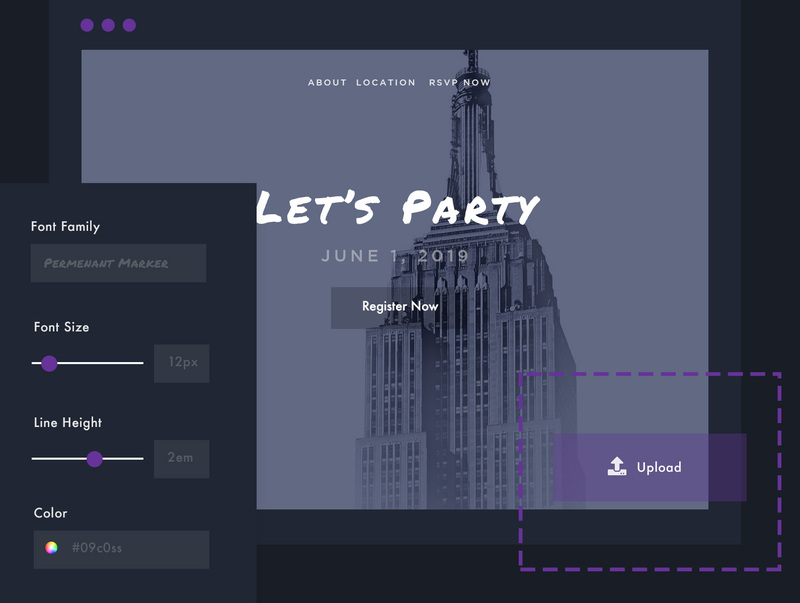 In addition to powerful design customization, EventCreate's invite system comes pre-built with a host of features including delivery tracking, bulk list upload and automatic reminders. Don't want to send invites for your event? No problem. You can promote your event website in other ways, including partner site promotion, search engine optimization, social sharing, referrals or by embedding buttons on another website. EventCreate was independently ranked a Top Event Management Software by Capterra. Simply awesome. EventCreate makes it easy to create a professional event website. We received rave reviews from our attendees.